Nonprofit marketers don’t have it easy. You need to communicate the value of your mission, raise brand awareness, and draw supporters for your cause. On top of that, marketing trends are always changing, and it’s up to you to stay on top of how donors want to be engaged. Fortunately, there are some best practices that can amplify your marketing efforts and boost your chances of reaching your audience. 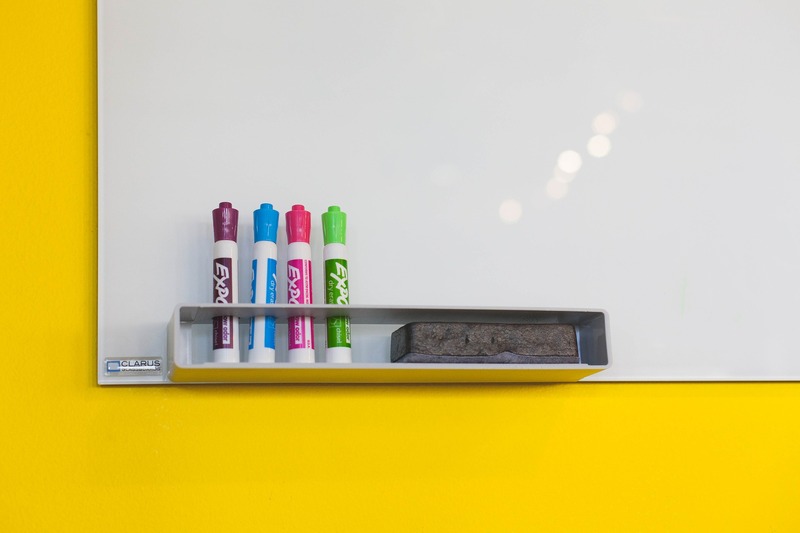 Here are 10 lessons that can help ensure the success of your nonprofit’s marketing campaigns. 1. You have to get to know your donors. Whether you’re in the nonprofit or for-profit sector, effective marketing only happens when you know who your audience is. After all, it’s hard to start a meaningful conversation if you don’t know to whom you’re talking. You need to gain a deep understanding of your donors and what inspires them to give—then deliver personalized content, just for them. If you haven’t already created donor personas for your organization, it’s time to get started. Donor personas are hypothetical representations of your ideal donors, based on real information about your current and potential donor base. They require you to reach out and get to know your supporters, so you can improve your communication and engagement tactics. Take the guesswork out of your nonprofit marketing strategy. Using our free Know Your Donors Field Guide, you can identify your donors and how you can reach them. 2. Visual storytelling should be top of mind. As content marketing gains traction in the nonprofit sector, more and more organizations are harnessing the power of visual storytelling. According to HubSpot, the brain processes visuals 60,000 times faster than text, so weaving graphics into your story makes it much more compelling and engaging. Keep in mind that high-quality content boosts engagement and helps you appear more professional. You can use free tools like Pixlr to edit and refine your pictures, or Canva to create beautiful graphics using predesigned icons and templates. 3. Get familiar with fundraising psychology. A key part of being a great marketer is understanding key bits of psychology. Think about it. When you know how and why people behave the way they do, you can create content that they identify with and respond to. In the same way for-profit companies research consumer psychology, nonprofit organizations should also understand the psychology of giving. Why do more people donate when a campaign is closer to reaching its goal? Why are people often more inclined to help one individual’s plight, as opposed to a larger group? Understanding the psychological principles behind these questions can give you insight on how to motivate your audience. Fortunately, there have been some findings on the psychology of giving, which you can use to craft more compelling asks. 4. If you want to build donor relationships, segment your email lists. Not every supporter has the same connection to your nonprofit. If you’re talking to your monthly recurring donors the same way you’re talking to a first time donor, then you’re communicating that you’re not paying attention to them or their support. You need to deliver more personalized messages that are relevant to each type of donor. That’s why segmentation is a pillar of great nonprofit marketing. Break up your donors into smaller lists—whether by acquisition channel, giving frequency, donation amount, or programs they donate to—so you can send the right messages to the right people. On top of splitting your donors into different categories, make sure to segment your fundraisers as well. When you’re running a peer-to-peer campaign, you should send more personalized messages that will motivate fundraisers based on their level of activity. 5. Don’t ignore your new email subscribers. Every marketer aims to capture more email addresses. When people sign up for your blog, email updates, or newsletter, they’re basically opening up their door to your brand. And like anyone with their door open, they expect you to walk in. According to MailChimp, people are most engaged with your organization right after they sign up. Surprisingly, many nonprofits leave their new email subscribers waiting. According to a Duham+Company study, “37 percent of organizations don’t send any emails to new subscribers within the first 30 days of signing up.” 88 percent of nonprofits don’t send a welcome email series. This is a poor marketing practice. New subscriber interest drops off over time, so waiting to reach out can lose you a potential supporter. Once someone signs up, send a personalized email to start the relationship right away. Let them know you’re excited about their subscription, and strengthen their connection with your organization from the get-go. Today, your supporters want to interact with your organization from their smartphones. For instance, they’re more likely to read your messages on their phone than on their desktop. Sixty six percent of emails are now being read on a mobile device. You spend a lot of time crafting your emails, so boost your chances of reaching people by sending emails that are responsive. Responsive emails adapt properly to any screen size, ensuring your message always looks exactly like you intend it to. Many email marketing services, like MailChimp, provide responsive templates. Hopefully, your email appeals hit the mark and your smartphone user wants to give. Your checkout pages should also be mobile-responsive, so they can make a gift on the spot, wherever they are. Make sure your fundraising software allows your donation pages to display properly on any smartphone or tablet, as shown by a Classy donation page below. 7. Not all social media platforms are created equal. Chances are your nonprofit is active on social media. After all, social media is a powerful tool you can use to reach and engage your supporters. What you have to understand, though, is that not all platforms are the same. Each network has its own purpose, value, and function. They can also draw in different audiences. In order to optimize the way you communicate with supporters, you need to identify each channel’s distinct value, and determine which ones require your focus (and at what time). Twitter, for example, might be the better place to call out supporters individually. Instagram can be great for crowdsourcing content from supporters, or running a photo series countdown until your campaign. Hone your social media marketing efforts by understanding each platform’s purpose, learning where your supporters spend their time, and creating targeted content for each channel. 8. Branded donation pages make a difference. Branding matters in nonprofit marketing—a lot. Especially when it comes to donation pages. On average, a nonprofit with a branded donation page collects five times more gifts, and raises nearly $15,000 more than a nonprofit with a generic donation page. 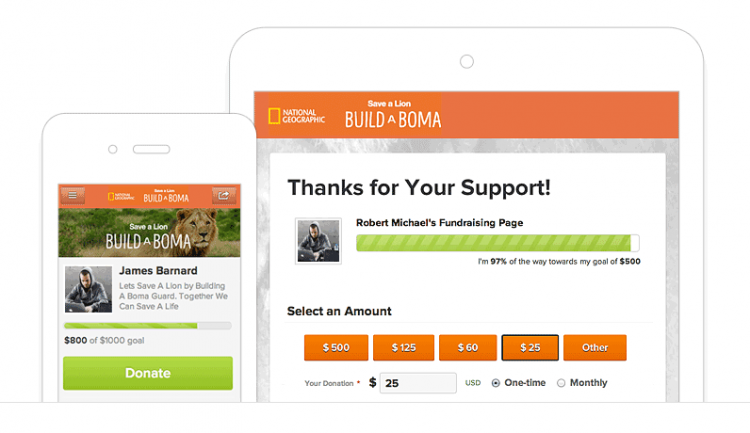 Create custom donation forms branded specifically to your campaigns. Carry over any images and copy used in your email appeals onto your donation page. By matching the look and feel of your donation page to your appeal, you create a seamless experience for your donor that sustains their emotional drive to give. It also prevents them from second-guessing where their donation is going. Testing is a huge component of smart marketing. Doing A/B testing helps you make data-driven decisions to improve your conversion rates. You should only test one thing at a time. Split your donor base into separate groups, send each group a different version of your variable, and track which version performs better. If you’re testing your emails, use your CMS or email marketing software to review your open and click rates. Continual testing will help you learn what content your supporters respond to and ensure the success of your nonprofit marketing campaigns. 10. In the digital age, the pen is strong. Nonprofit marketing is just as much about following up with donors, as it is about drawing them in. Saying thank you is a part of every nonprofit’s job, and it’s a main ingredient of donor retention. While it would be easy to set up an automated email, consider ditching the keyboard and picking up your pen. In a recent survey, nonprofit technology firm Software Advice discovered about half of donors wanted personalized letters to other follow-up methods. Letters in the mail can make a lasting impression on an unsuspecting donor. Prioritize handwritten notes whenever possible, and rally your staff, volunteers, and interns to put pen to paper. One personalized letter can go a long way toward boosting donor satisfaction and loyalty. While nonprofit marketing trends are constantly evolving, some best practices are evergreen. Adopt these 10 lessons, and you’ll be off to a solid start.